MPN - F026400098 / S0098. HONDA CIVIC VII VIII FR-V 1.8. The information provided in the compatibility should be used as a guide only. AIR FILTER. IMPORTANT NOTE. ======================. 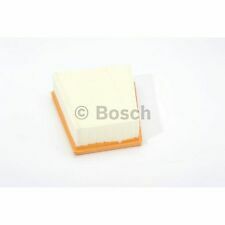 Air Filter F026400365 Bosch. Part Number F026400365. Filter type Filter Insert. Function Air Filter. Height 50 mm. Model year to: 06/2012. BMW 7 (F01, F02, F03, F04) 740 d Saloon Diesel 09/2009 12/2015 RWD 24 306 225. 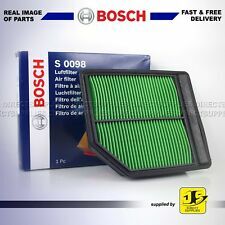 This New Unused Bosch Air Filter S3971 is for sale. This BOSCH OEM Air Filter is suitable for VW T4 Transporter, Camper, Caravelle, Multivan & Pickup with 2.4 and 2.5 Diesel, Turbo-Diesel and TDI and 2.0 Petrol Engines. 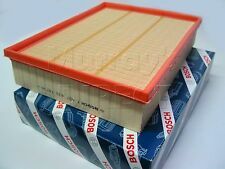 BOSCH OEM Air Filter for VW T4 Transporter, Camper Van, Multivan, Pickup & Caravelle 1.9, 2.4 & 2.5 Diesel & 2.0 Petrol. MPN: S0244. BOSCH • 40 47024 90274 9 • S 0244 • S0244. VAUXHALL INSIGNIA 2.0 CDTI SAAB 9.5 OPEL INSIGNIA A. VAUXHALL • 13319421. BOSCH AIR FILTER. • Filter Insert. MAHLE FILTER • LX 3062. MANN-FILTER • C 29 012. MPN - F026400374 / S0374. Filter type - Filter Insert. AIR FILTERS. 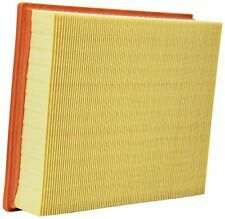 PEUGEOT 407 6C 2.7D Air Filter 05 to 09 UHZ(DT17) Bosch. Engine Code: UHZ (DT17BTED4); Model year to: 07/2009. PEUGEOT 407 Coupe (6C_) 2.7 HDi Coupe Diesel 10/2005 on FWD 24 204 150. PEUGEOT 407 (6D_) 2.7 HDi Saloon Diesel 10/2005 on FWD 24 204 150. MPN - F026400441 / S0441. Filter type - Filter Insert. The information provided in the compatibility should be used as a guide only. AIR FILTERS. IMPORTANT NOTE. ======================. NISSAN 165464BA1A, 165464BA1B, ­165464BA1B. RENAULT 165464BA1A, 165464BA1B. Engine Code: K9K. Filter type Filter Insert. Function Air Filter. 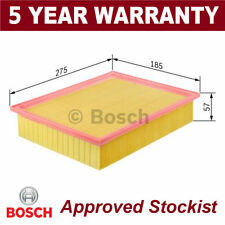 PEUGEOT 207 WK 1.4 Air Filter 2007 on 6839916RMP Bosch. PEUGEOT 207 SW (WK_) 1.4 Estate Petrol 06/2007 on FWD 8 73 54. PEUGEOT 207 SW (WK_) 1.4 LPG Estate Petrol/Petroleum Gas (LPG) 08/2007 12/2012 FWD 8 73 54. MPN - F026400151 / S0151. CITROEN C4 1.6 | MINI MINI R56 R55 R57 1.6 | PEUGEOT 207 - 3008 - 308 1.6 2.0. AIR FILTERS. The information provided in the compatibility should be used as a guide only. IMPORTANT NOTE. MPN - F026400157 / S0157. AUDI A4 1.8 2.0 - A5 1.8 2.0 - Q5 2.0. AIR FILTER. The information provided in the compatibility should be used as a guide only. IMPORTANT NOTE. FORD FIESTA V 1.3 1.4 1.6 - FUSION 1.3 1.4 1.6 | MAZDA 2 1.3 1.4 1.6 | MINI R50, R53 1.4 1.6 R52 1.6. AIR FILTER. The information provided in the compatibility should be used as a guide only. IMPORTANT NOTE. 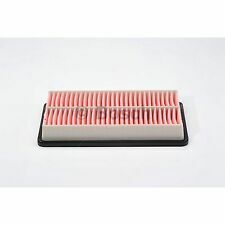 Air Filter fits HONDA CIVIC FK3 1.6D 13 to 17 N16A1 Bosch. HONDA CIVIC IX (FK) 1.6 i-DTEC (FK3) Hatchback Diesel 02/2013 on FWD 16 120 88. HONDA CIVIC IX (FK) 2.2 i-DTEC (FK3) Hatchback Diesel 02/2012 on FWD 16 150 110. 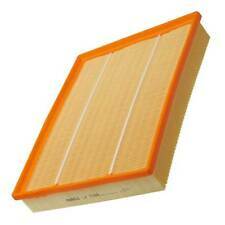 Air Filter fits NISSAN NOTE E12 1.5D 2013 on K9K892 Bosch. NISSAN NOTE (E12) 1.5 dCi MPV Diesel 06/2013 on FWD 8 90 66. Filter type Filter Insert. Function Air Filter. NISSAN 165463VD0A. A.L. FILTER ALA18017. VW Mk5 & Mk6 Golf - Most Models 2004 to 2013, Many Models of Beetle, Caddy, Passat, Eos, Mk3 & Mk4 Jetta, CC, Scirocco, Sharan, Tiguan, Touran, Many Models of SEAT Alhambra, Altea, Leon & Toledo, Many Models of Skoda Octavia, Superb & Yeti and Many Audi A3, Q3, TT & TT Quattro Models. MPN - F026400228 / S0228. Filter Type: Filter Insert. AIR FILTERS. The information provided in the compatibility should be used as a guide only. IMPORTANT NOTE. ======================. CORSA C (X01) 1.4 1364 Petrol Z 14 XEP 90 6/2003 - 12/2009 7/2003 - 11/2006. CORSA C (X01) 1.2 1229 Petrol Z 12 XEP 80 7/2004 - 12/2009 > 11/2006. Bosch is at the centre of many different vehicle technologies, and filtration of the air into the vehicle's cabin is one of these areas. With this huge amount of experience, Bosch cabin filters ensure the optimum levels of performance to ensure. MPN - F026400160 / S0160. HONDA CIVIC VIII HATCHBACK (FN, FK) 2.2 2005 ONWARDS. AIR FILTERS. The information provided in the compatibility should be used as a guide only. IMPORTANT NOTE. ======================. VOLVO S60 I 2.4 2.5 2.0 2.3 - S80 2.4 - V70 2.0 2.4 2.5 - XC70 CROSS COUNTRY 2.4. The information provided in the compatibility should be used as a guide only. AIR FILTERS. IMPORTANT NOTE. ======================. VW Transporter/Caravelle T4 2.4D 2.5TD Diesel 1995-2003. GUD FILTERS AG 144 4. Filter type Filter Insert. SUZUKI GRAND VITARA I Convertible (GT) 1.6 4x4 (SQ 416) Convertible Petrol 03/1998 07/2003 AWD 16 94 69. SUZUKI GRAND VITARA I Convertible (GT) 2.0 4x4 (SQ 420) Convertible Petrol 03/1998 07/2003 AWD 16 128 94. Filter type Filter Insert. Function Air Filter. HENGST FILTER E1170L. MAHLE FILTER LX1833. Model year to: 12/2014. ; Model year from: 09/2015; Model year to: 11/2016. Type: <218.303>; Model year to: 12/2014. 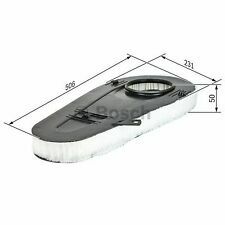 FORD 1232496, 1486710, 3M519601AA, VP3M5U9601AA. Filter type Filter Insert. Function Air Filter. ALCO FILTER MD8108. HENGST FILTER E588L. MAHLE FILTER LX1572. FORD FOCUS C-MAX 1.8 MPV Petrol 10/2003 03/2007 FWD 16 120 88. BMW 13717534825. MINI 13717534825. MINI MINI (R56) Cooper Hatchback Petrol 10/2006 02/2012 FWD 16 120 88. MINI MINI (R56) Cooper Hatchback Petrol 09/2009 11/2013 FWD 16 122 90. MINI MINI (R56) Cooper Hatchback Petrol 09/2006 11/2013 FWD 16 115 85.